6th Kentucky Volunteer Infantry U.S.
6th Kentucky Volunteer Infantry Regiment U.S.
Click on categories on the left for additional information. The 6th Kentucky Volunteer Infantry U.S. was formed late in 1861 by consolidation of three organizations originally intended to become separate regiments. The largest organization consisted of five companies raised by Col. Walter C. Whitaker of Shelbyville,Kentucky, whose recruiting and training camp was located at Eminence in Henry County. Whitaker's volunteers came mostly from Henry, Oldham, and Shelby Counties; however, Anderson, Hardin, LaRue, Madison,Owen, Spencer, Trimble and Woodford Counties were also represented. Joining Colonel Whitaker's command were three companies comprised principally of German-born men from Louisville. Maj. William N. Hailman commanded this battalion. Many of Hailman's men could not speak English, so commands in his companies were given in German. The third organization consolidated consisted of two companies mustered-in at Camp Joe Holt (near Jeffersonville, Indiana), that were in excess of the ten companies needed to complete the Louisville Legion (originally called the 3rd Kentucky but later re-designated as the 5th Kentucky). This battalion, led by Maj. John R. Pirtle of Louisville, contained a company of native Germans from Louisville and a company predominated by Kenton County residents (including many English- and Irish-born men). The 6th Kentucky completed its organization on December 24, 1861 at Camp Sigel in Louisville and six days later departed for Camp Morton located near Bardstown, Kentucky. After a short stay at Camp Morton, the regiment marched to Camp Wickliffe in LaRue County, Kentucky, to join its brigade and division and to train. Col. Walter C. Whitaker led the regiment until he was promoted to brigadier general in July 1863 and given command of a brigade. Maj. George T. Shackelford of Richmond, Kentucky, was promoted to colonel to replace Whitaker, and led the 6th until he was seriously wounded at the Battle of Chickamauga on Sept. 19, 1863. Lt. Col. Richard C. Rockingham of Covington assumed command after Shackelford was wounded, but Rockingham was wounded several hours later and killed by an enemy shell the next day. Maj. Richard T. Whitaker of Shelbyville (Walter's brother) then commanded the regiment until he resigned his commission on May 11, 1864. Capt. Isaac N. Johnston from Pleasureville led the regiment during the four-month-long Atlanta Campaign. In late August 1864 Capt. Johnston was replaced as commander by Lt. Col. Richard C. Dawkins of La Grange who had recovered from an ailment that had kept him out of the Atlanta Campaign. The 6th Kentucky was a core regiment of Col. (later Brig. Gen.) William B. Hazen's hard-fighting brigade. Hazen's brigade served in the Army of the Ohio and its successor Army of the Cumberland and is best known for its stubborn defense of the "Round Forest" during the BATTLE of STONES RIVER (near Murfreesboro, Tenn.). The Sixth also fought courageously at SHILOH, WOODBURY, BROWNS FERRY, ORCHARD KNOB, and MISSIONARY RIDGE in Tennessee, and CHICKAMAUGA, ROCKY FACE RIDGE, RESACA, PICKETT'S MILL, KENNESAW MOUNTAIN. the CHATTAHOOCHEE RIVER, PEACHTREE CREEK, and IN FRONT OF ATLANTA in Georgia. The regiment was at PERRYVILLE on the day of that fierce battle, but its division was notordered into the fray. However, the 6th was in the vanguard of Federal troops who pursued General BraxtonBragg's Confederate army as far as London, Kentucky, and often engaged in brisk skirmishes with Bragg's tough rear guard. At the end of three years of service, the rolls of the 6th Kentucky had been reduced from almost 940 men to approximately 400. The regiment's final companies mustered out in late December 1864 and early January 1865. About 40 men reenlisted and were transferred to the 4th Kentucky Mounted Infantry Regiment. 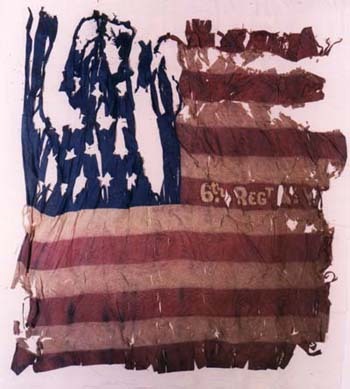 Nearly half the members of the 6th Kentucky became casualties (killed, wounded or missing), and almost 20 percent sacrificed their lives to help preserve the Union. Nine men were still in Southern prison camps when their enlistments expired. Two of these prisoners were killed on their way home when the woefully overcrowded steamboat Sultana exploded and burned north of Memphis, Tennessee. The 6th's combat losses earned it a place in William Fox's list of "300 fighting regiments of the Union army." Capt. 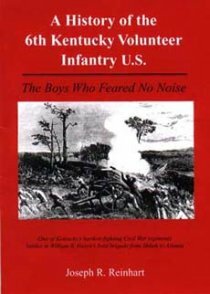 Thomas Speed (who served in the 12th Kentucky Infantry) wrote in the regimental histories section of The Union Regiments of Kentucky: "None of the Kentucky regiments had a better record than the 6th." 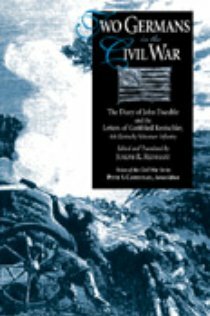 John Daeuble’s richly detailed diary entries and Gottfried Rentschler’s lengthy letters, written for a German-language newspaper, are important additions to the still-incomplete mosaic of the Civil War, not only because of their engaging content but also because they help fill significant voids created by an almost complete lack of published sources from Kentucky’s Union soldiers and by the shortage of primary source materials about, the diary and letters cover the participation of the two immigrants in the historic battles around Chattanooga, the pursuit of Longstreet’s corps in East Tennessee, and Sherman’s grueling Atlanta campaign. 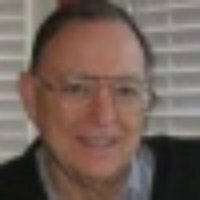 Joseph Reinhart has provided us with an invaluable collection of Civil War soldiers' firsthand accounts. The words of Daeuble and Rentschler not only offer valuable glimpses into the life of the average soldier in the Western Theatre, but even more significantly illuminate some of the differences between German-Americanand Anglo-American troops. Expertly translated from the original German, Reinhart's edited compilation of these important letters and diary entries eloquently reminds us that the Civil War was not simply a struggle between North and South, but also a period of competing ethnic identities, nativism, and immigrant acculturation.